Close to the end of the summer Lavender Bubbles will explode with beautiful bubble-shaped flowers of dusty purple. The blooms are produced above glaucous blue green foliage. The leaf blades twist and curl to provide additional interest. Compared to the popular 'Millenium' 'Lavender Bubbles' blooms later and is a deeper shade of purple. Like other Alliums, 'Lavender Bubbles' is carefree, very easy to grow, and deer and rabbit resistant. 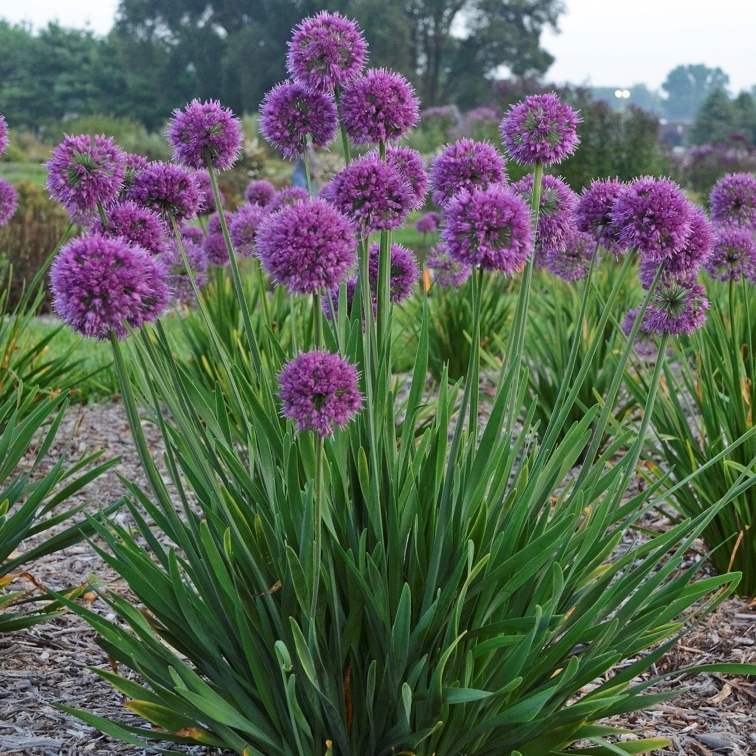 Allium 'Lavender Bubbles' is a low maintenance, reliable perennial that will attract pollinators. It is easy to grow in average, dry to medium moisture, well-drained soils in full sun to part shade. It performs best in full sun but will tolerate some light afternoon shade. Alliums generally tolerate a wide range of soils including sandy soils but will not grow well in heavy clay. Although ‘'Lavender Bubbles'is a true bulb on a stout rhizome, it forms a clump which can be lifted and divided in either spring or fall.